Scrum is hot, not just in IT but also in other fields it is rapidly on the rise. Why? Because it offers a very pragmatic method to achieve valuable results in less time, while having more fun. 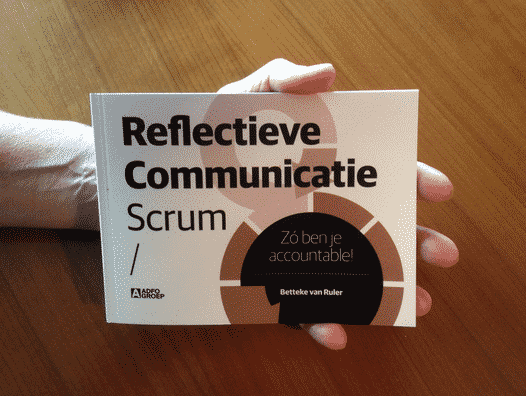 The two-day practical training Reflective Communication Scrum enables marketing and communication professionals to learn what it is, how it works and how to introduce it in their organization. Prof. dr. Betteke van Ruler, emeritus professor communication sciences, already concluded two years ago that the old communication is hopelessly outdated. “It has no answers for the rapidly changing environment and the increasing complexity of the issues we face.” That’s why she developed Reflective Communication Scrum, an alternative method to plan and execute communications. The two-day training is provided by Betteke van Ruler, one of the most prominent Dutch scientists in corporate communication and communication management. Co-trainer is Petra de Boer, branding and dialogue expert at Perspectivity and co-author of Scrum in action, the practical guide to successful projects that will be published in mid-June by Business Contact. The training (in Dutch) lasts two days and takes place at least once every Fall and Spring.